In this How-To, we will walk you through the install and configuration of Drupal on CentOS 7 with Apache. Drupal is a free content management system that will facilitate the way your content is organized and managed. It has a user-friendly interface that makes customizing your content easy and simple with little effort. – You will also need to have LAMP (Linux, Apache, MySQL, PHP) installed. If your server doesn’t have LAMP installed already, see our guide here for a quick installation run through. To get started, log in to your CentOS 7 server via SSH or Console. If you are using the Atlantic.Net cloud hosting service, note that they are setup with minimal installations to avoid having unnecessary packages from being installed and never used. If some software packages that you’re used to using aren’t installed by default, feel free to install them as needed. Let us download wget and unzip so we can simplify this tutorial. With the database created we must now create a user so it can access the Database. Again, this can be done by running the following command, replacing yourdrupaluser with your desired username and yourdrupalpassword with your desired password. We need to restart Apache since we installed the PHP extensions. 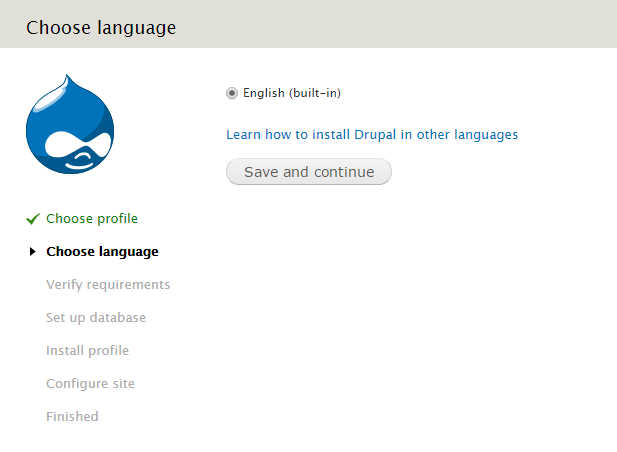 You will see the Drupal installation procedure’s initial page. 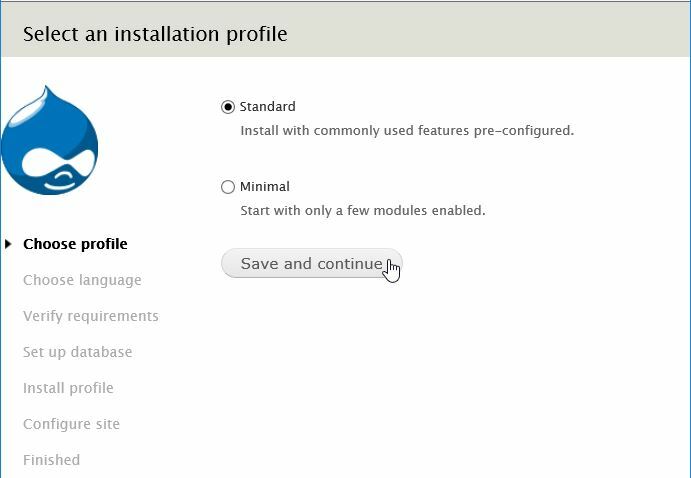 Select the standard install. This is the Drupal’s web installation wizard on CentOS 7. Select the standard install. 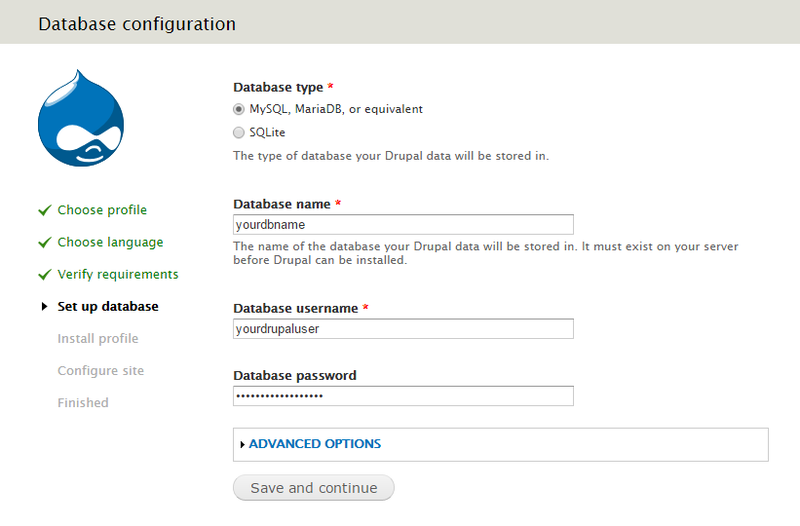 Add the MariaDB database, user and password into their designated fields. 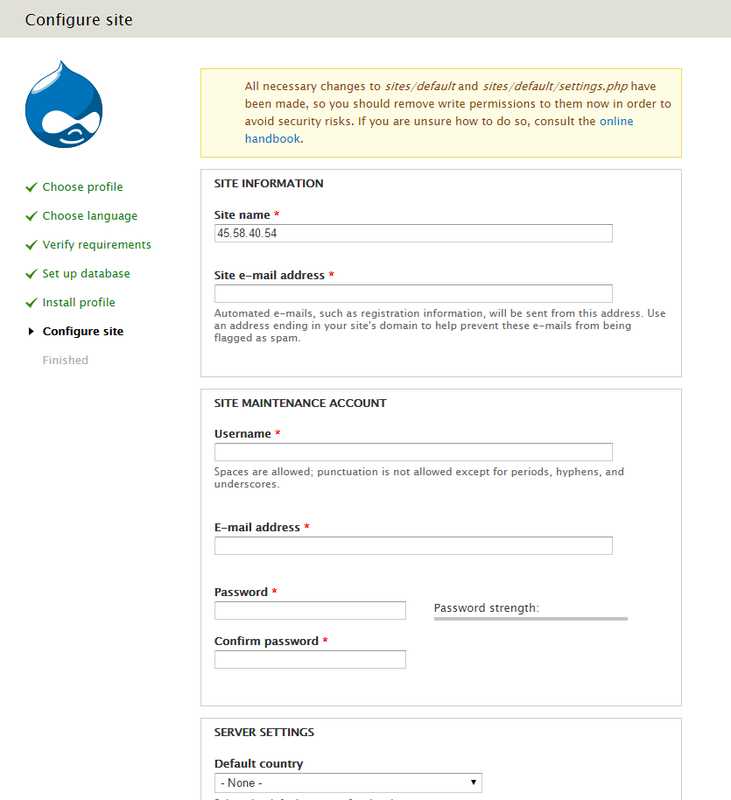 After entering the Database info, all you need to do now is answer Drupal’s questions for your site. From here just follow along Drupal’s install for site information. Congratulations! You have just installed and configured Drupal with Apache on your CentOS 7 Server. Thank you for following along in this How-To and check back with us for any new updates.